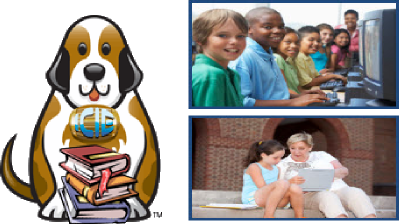 ICIE stands for In Case of Internet Emergency. 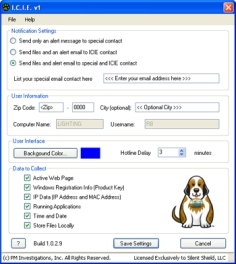 ICIE is a software application that can be downloaded directly to each computer interfacing with the Internet or can be installed on any iPhone or Android cellphone. 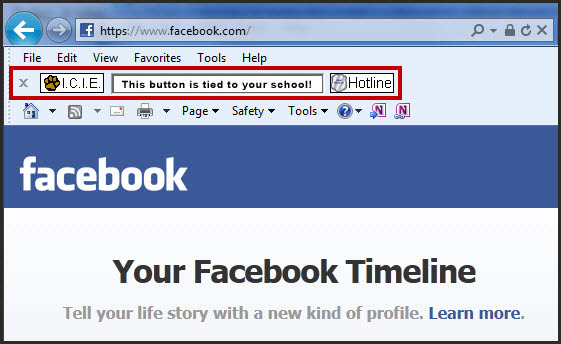 ICIE is a simple and effective method of reporting suspicious, dangerous, or illegal activity discovered on the Internet to the appropriate authority. ICIE’s reporting mechanism can provide law enforcement or other authorities, such as school administrators, with enough information to determine what action, if any, needs to be taken. Main Interface used to configure settings and registration details. Once this form is set up, the rest of ICIE is good to use. Below screen is showing where the main ICIE button can be found. Additional information includes a button for the school webpage and a "HotLine" button, which allows a child to get assistance quickly. 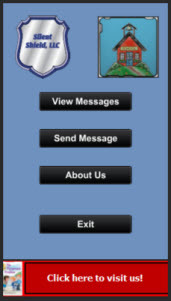 General interface for ICIE on a cellphone. This application, referred to as mICIE can run from virtually any Android or iPhone cellphone. 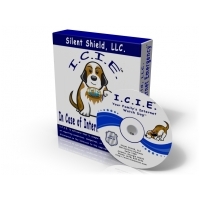 This application is only available from Silent Shield, LLC. Options shown in this screen are completely customizable. You set up the fields at the server level and each user assign to your account can see and use them. 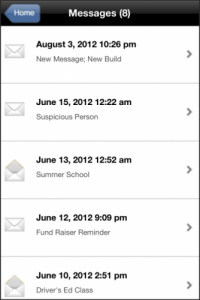 Once selected, the "alert" comes to you and allows you to respond by taking an action. 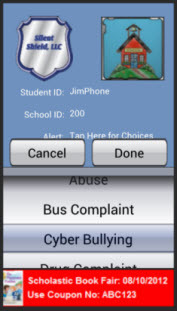 As the administrator, the school can send out school wide alerts of situation. Messages can be deleted, or updated, but navigating the administration side of the website. This illustration provides you a basic overview of how ICIE interacts with your setup. To see more, please visit www.IcieOnLine.com.